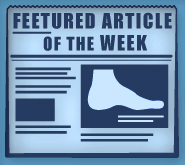 We don't tiptoe around the importance of foot health and neither should you. The podiatric specialists at Foot Doctor of the East Bay in CA understand that the health of your feet can affect your overall health. Your feet are a marvel of engineering and our staff has the know-how to care for them. Dr. Michael Stein, founder of Foot Doctor of the East Bay, believes in offering personalized and comprehensive care to anyone with foot or ankle complications. He completed his undergraduate studies by earning a Bachelor of Science and decided to take his talents to the California College of Podiatric Medicine. From there he blossomed and grew to be the doctor we all know and love today. Throughout his years of experience, Dr. Stein has gained a unique understanding of and familiarity with advanced wound care modalities, specializing in diabetic foot care, treatment of neuropathy, and lower extremity disorders. He has been named a Fellow of the American Academy of Ambulatory foot and Ankle Surgery as well as a Fellow of the American Professional Wound Care Association. He is Board Certified in the Prevention and Treatment of Diabetic Foot Wounds, a member of the American Podiatric Medical Association, California Podiatric Medical Association, Alameda-Contra Costa Podiatric Medical Association, American Diabetes Association, and the American Academy of Podiatric Sports Medicine. Each and every positions recognize Dr. Michael Stein's excellence and mastery of his profession. Dr. Michael Stein's devotion to your health has led him to partner with the best that podiatric medicine has to offer. Also on staff with us is Dr. Phillip Milgram and Dr. Zeindelin Ahmad, our fungal nail expert. He is excited to offer his patients PinPointe Laser and is eager to share success stories. Our team also includes Tennsi Hsi, a licensed acupuncturist. She explains that acupuncture isn't about pain and needles, but about areas of the body where energy flows, called meridians. This form of oriental medicine focuses on these pathways and specific points where energy is harnessed. She is an expert in manipulating energy flow to rid your body of stagnations and naturally promote your overall health. Tennsi treats various disorders such as allergies, muscular pain, neurological pain, hormonal imbalances, and even fertility complications. She'd love to meet you and discuss how acupuncture can make a positive impact on your life. At Foot Doctor of the East Bay, patient care is our top priority. We offer high-tech foot care for patients of all ages in San Leandro, Pleasanton, and Los Gatos, CA. When you're here, you're family. Our goal is to treat your ailments effectively and quickly, in order to get you back on your feet as soon as possible. We pride ourselves in listening to you and your needs, while developing your best treatment plan. Thank you for considering our practice for your podiatry needs.